I made this for a brunch – it had three types of cheese so of course it was great! 1. Carefully unroll both sheets of the puff pastry – place one on a parchment paper lined cooking sheet and set the other one aside. 2. 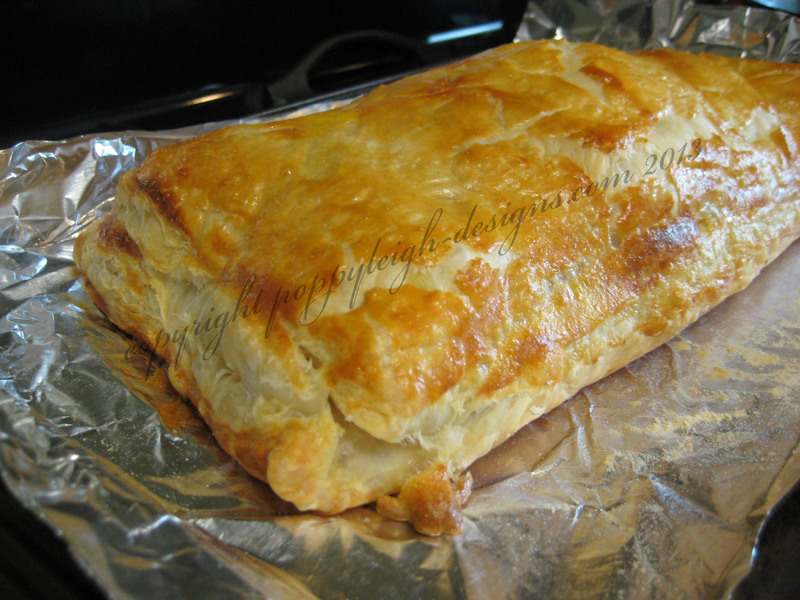 Spread a thin layer of the dijon mustard on the puff pastry on the cooking sheet. 3. Layer the cheese and ham making sure to mix up the cheese. 4. 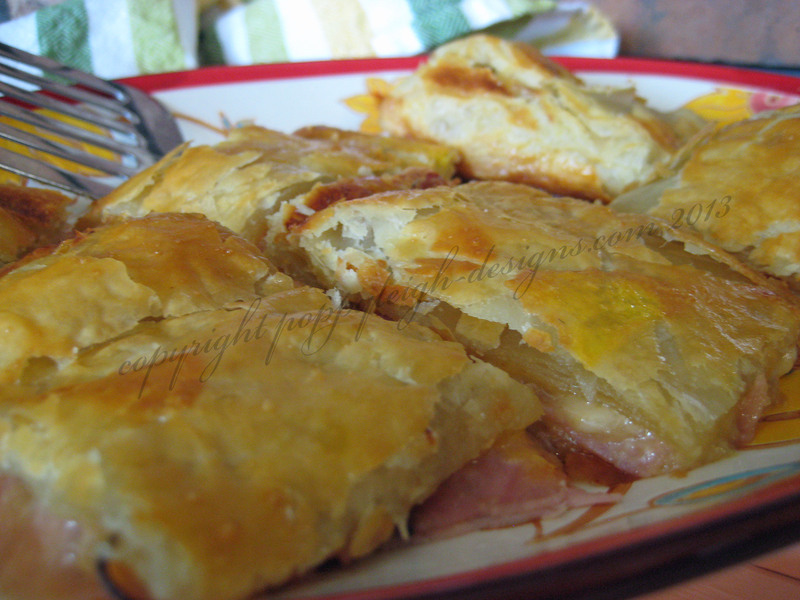 Place the second puff pastry sheet on top of the ham and cheese, press the edges of both puff pastry sheets together. 5. With a cooking brush, brush the beaten egg all over the top of the puff pastry. 6. Bake in a preheated 350 degree oven for approximately 30 minutes.